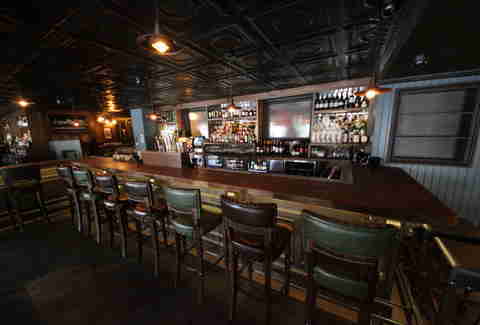 While you can't swap a Bobby Bonilla for a Gregg Jefferies there (unless you go with some really cool people), Trading Post has something even better to offer: tons of rare whiskeys and towering plates of seafood in a three-floor landmarked building on the old Burling Slip (now John St), plus relief from the "wild Irish pubs" and "stuffy steakhouses" of the area. 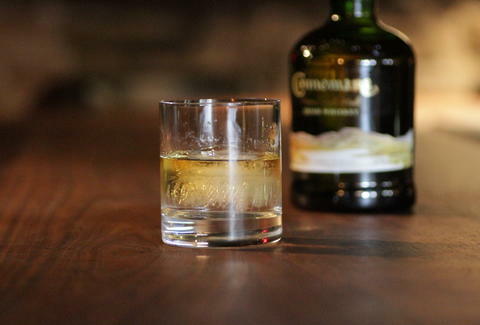 They're pouring an unsually deep array from Ireland that you couldn't normally get your hands on, like Green Spot, as well as some others that are available but that you'd, otherwise, have to do some serious searching for, including this small-batch Connemara single malt. 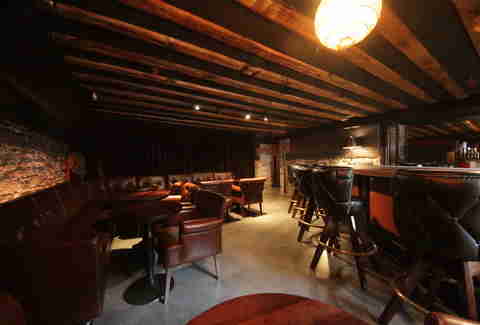 The top floor is for private dining and features a plush study feel, decor like old Confederate bonds, and river views, while the main floor is similarly wooded, but with a seemingly endless array of curtained-off nooks and crannies (mostly nooks), one of which even has access to its own bar. 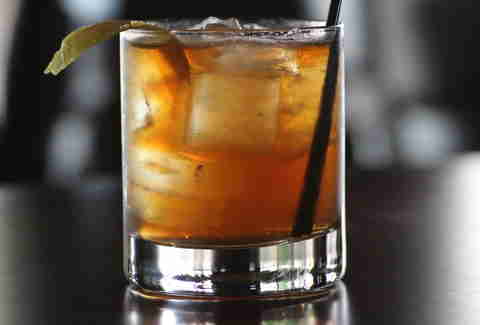 They've also got a round of classic and house cocktails on offer, like this Jack Dusty loaded with Irish whiskey, sweet vermouth, and Pernod. With all that hooch, you might need some food. 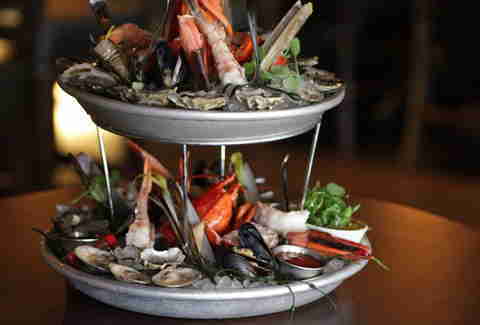 One great idea: this seafood tower boasting "just about everything you can eat from the sea": lobster tails, giant shrimp, oysters, lump crab, and scallop ceviche. 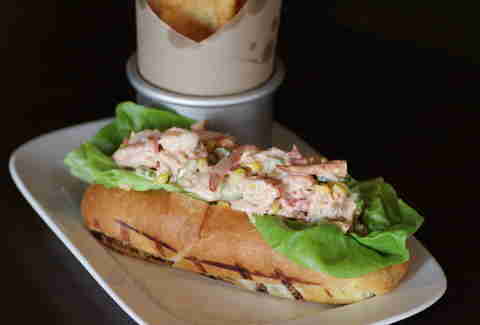 You know you want the lobster roll, too. Their version's loaded with a little corn and comes on a brioche bun specially made for them by Amy's Bread. That's enough seafood, though. 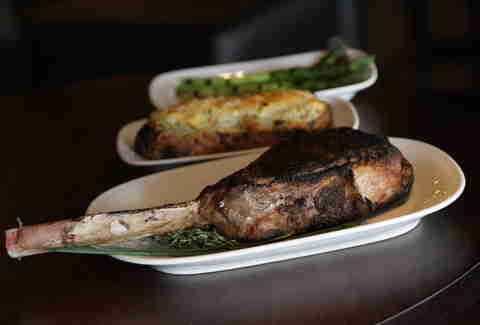 Dive into the 36oz Hereford Beef Tomahawk chop, accompanied by a twice-baked potato, which, much like your fridge, is stocked up with mozzarella and bacon. 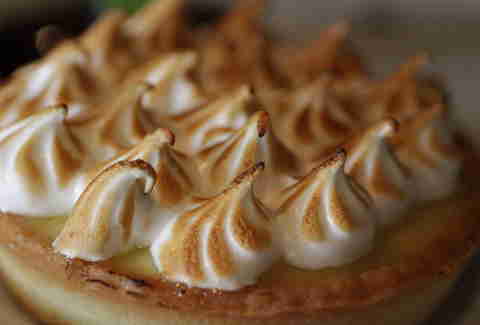 If you get as close to the lemon meringue tart as this photo does, someone will surely shove your face in it, and it will still be delicious.